Delfi is an Automated Fingerprint Identification System (AFIS) that enables the user to quickly incorporate a high-end fingerprint identification and verification service for civil usage. Delfi includes a complete transaction manager to intelligently manage concurrent search and verification queries. Oracle, Sybase, PosqgreSQL persistent database interfaces are also included. Delfi is fully integrated into our BioCap Enrollment System, with FormCap data capture solution and CDRS document register for large scale systems. The Delfi fused face-fingerprint identification algorithm is able to match up to 400,000 records per second on a single cluster node. Delfi provides high identification reliability using either fingerprint or face matching engines and using multibiometric identification allows it to reach almost 0,00 % FRR. 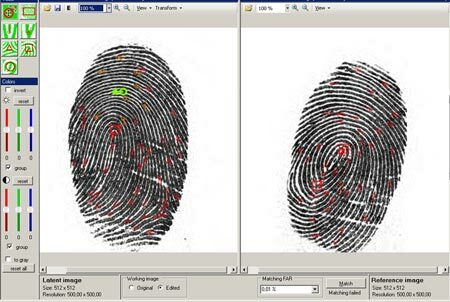 Matching speed is a critical factor for many large-scale biometric applications, such as duplicate searches in voter databases and border control. Delfi fused face-fingerprint identification algorithm is able to match up to 400,000 templates per second on a single cluster node (single core), therefore delivering outstanding performance which can be extended via clustering to achieve any desired level of performance, accuracy and efficiency with the best price-value in the market. Delfi is scalable from a one workstation civil AFIS with 500,000 persons enrolled to a large scale civil AFIS up to i.e. a 100,000,000 population. Delfi provides comprehensive means to monitor the Civil AFIS. A monitor function permits the administrator to monitor all matchers their status and load. The Delfi Dashboard provides with one glance the important parameters of the system like matching speed, resource utilization, AFIS size, hits and others Key Features .